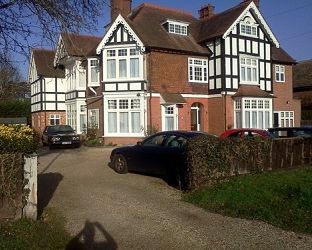 The Lawns Guest House, Maidenhead Berkshire, offers single, double and family rooms mostly en suite. Short walk to Maidenhead train station and the town centre; within easy reach of Slough, Bracknell and High Wycombe, Windsor & Legoland. London is 20 minutes by train. Heathrow is 20 minutes by car. Internet access; airport/Train/Bus pick-up service. Visit Maidenhead Berkshire and the surrounding villages and stay in bandb, hotel or vacation rental accommodation provided by BedPosts members. Maidenhead in Berkshire sits on the River Thames. Although the word “maidenhead” means “virginity”, the town's name derives from the Old English “Mayden hythe”, meaning “maidens' landing place”. Maidenhead is a large “dormitory” suburb of London and busy residential town, but is a good centre for exploring the nearby countryside and it is a popular boating centre. The 18th century balustraded road bridge and Brunel's railway bridge, with its long brickwork spans and resounding echoes, are among the finest bridges on the river. Boulter's Lock, just upstream, has been a famous riverside spot since Edwardian days, Ray Mill Island is a public garden. Two miles upstream, beyond Boulter's Lock, the famous house of Cliveden stands high above the river on the Buckinghamshire bank. Norden Farm Centre for the Arts has a variety of films, exhibitions and workshops. Nearby Dorney Court, built in 1440, is open to the public. 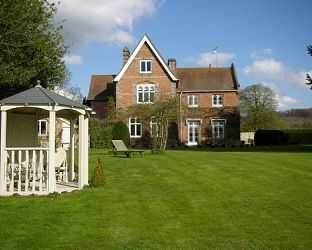 If you seek accommodation near Maidenhead in Berkshire you have come to the website of a “club” of providers who offer affordable quality accommodation around UK in hotels, bed and breakfasts, guesthouses, inns, and restaurants plus self-catering cottages and apartments .